OxyBeauty© 2017 All Rights Reserved. 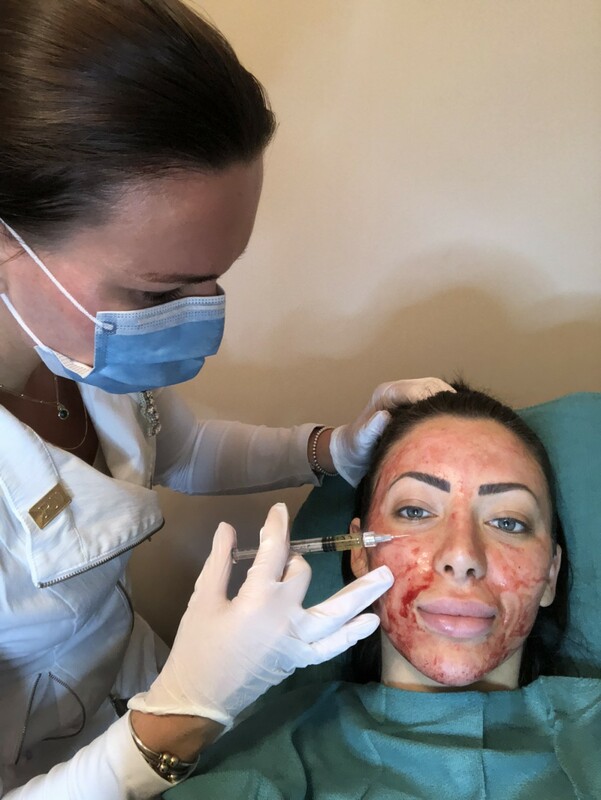 The main goal is rejuvenation and prevention of collagen destruction, and stimulation of collagen and elastin which will assist in slowing down the aging process. Therefore 3 to 6 treatments are recommended 1 to 2 months apart. Vampire Facial is done by mesotherapy technique (micro needling). PRP with micro needling technique promotes the process of natural tissue regeneration which slows down as we age. The growth factors stimulate stem cells that are present in the skin, thereby forcing them to regenerate new, younger-looking skin. It enhances the tone, color, and texture of the skin. What Can Be Treated With PRP? The under eye area is a very delicate part of the face that requires a lot of moisture, hydration and rejuvenation. Dark shadows at the lower eyelid, accentuation of the tear trough, fine lines around eyes and enlarged eye begs associate with a tired, aged and burned out appearance. 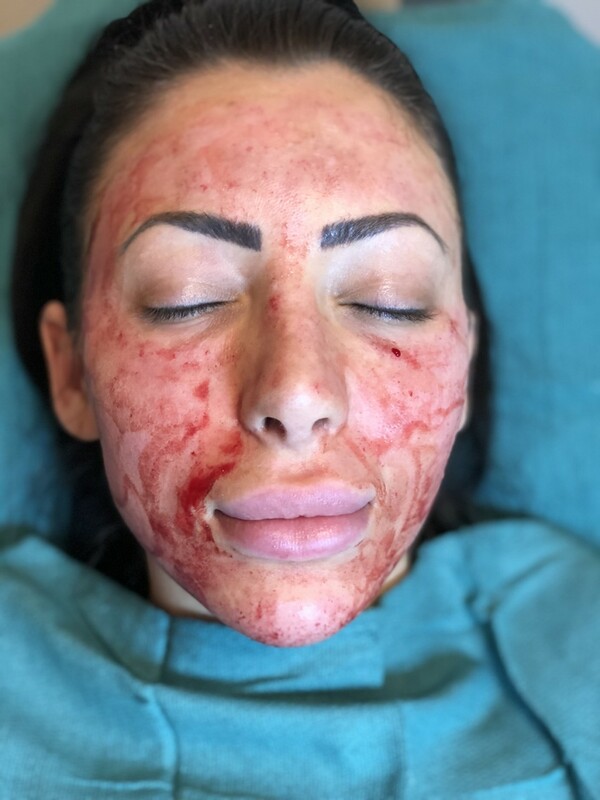 PRP with mesotherapy injection technique stimulates collagen and circulation around the eyes and as a result enhances, brightens, and rejuvenates under eye area. PRP can be combined with Hyaluronic acid HA dermal fillers to restore the volume of the face. Areas that can be treated include; nasolabial folds, crow’s feet, cheeks and jowls, nose and forehead. PRP with micro needling technique can greatly improve scars, acne scars, and stretch marks. Diseases with platelet abnormalities, low platelet counts, infections in areas intended for injection, chronic liver disease. It is recommended that you stop taking anticoagulants (aspirin, warfarin) about a week before treatment. It is expected that swelling will worsen after a day or two, except in the eye area, where the swelling may last for 6 to 3 days. Scalp: no side effects were observed. Your beauty is our passion. At OxyBeauty we offer our clients personally tailored, state-of-art skincare solutions and medical spa services. Subscribe to our newsletter You can be always up to date with our Specials and News! OxyBeauty © 2019 All rights reserved.